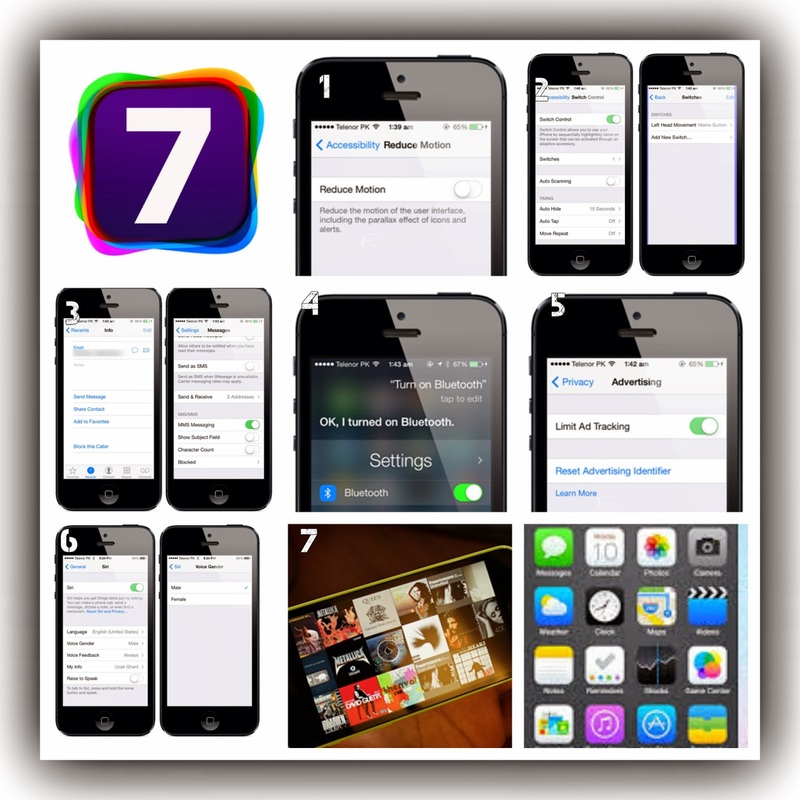 Recently announced iOS 7 has brought numerous amazing features, which we have already discussed. But there are still some, that we (and probably you too) have missed. We have listed 7 top hidden features of the Apple’s latest smartphone OS. 1. Turn Parallax On / Off – If you dislike the new iOS 7 Parallax effect on wallpapers (so called or 3D wallpapers), fearing that it might be draining your battery, you can just turn it off. Simply go to Settings > General > Accessibility > Reduce Motion and turn it on or off according to your liking – just as it is demonstrated on the image. 2. Enable Motion Sensing Controls – with the iOS 7, you are allowed to launch Siri or press the Home button by simply tilting your head, or pull down Notification Center by tilting your head to the left. We know it sounds epic! So just head over to Settings > General > Accessibility > Switch Control to turn it on and then go to Switches to set up them the way they perform different actions. 3. Block Callers and Unwanted Messages – this is an absolute gem to use! Simply open the contact bugging you, scroll all the way down in contact details and tap Block this Caller. It’s this effortless! The contact will never be able to bug you again. As for the messages, to manage the blocked ones, head over to Settings > Messages > Blocked. This successfully applies to FaceTime and iMessages as well. 4. Siri To Enable / Disable System Toggles – shielding its beta tag along with the release of iOS 7, Siri can do a lot more than just telling you the weather, calling a certain contact, settings reminders etc. You can now press and hold the Home button to launch Siri and say – for example – ‘Turn Wi-Fi on’ and Siri will turn on Wi-Fi for you, or affect the Bluetooth and other system toggles. 5. Enable / Disable Advertising Tracking– if you don’t want your iPhone to be tracked for specific ads, you can go to Settings > Privacy > Advertising and disable Limit Ad Tracking. Moreover, this feature also saves battery life by a fraction. 6. Change Gender Of Siri – from now on, you are able to actually change the gender of Siri. if the female voice is not cutting it for you then you can add a more manly voice for voice feedback by navigating to Settings > General > Siri and changing Voice Gender to Male. 7. 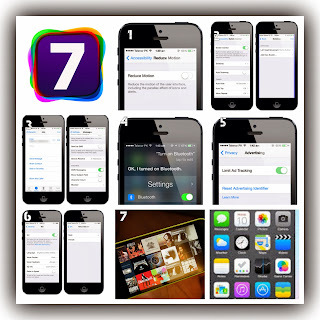 Zoom Into Album Art In iOS 7 Music App – the new Music app in iOS 7 shows your music album art is a neat tiled pattern in landscape mode, and moreover, you can actually zoom in or out your album art by simply using pinch gestures, just try it!